How long can you put a brave face on a fundamentally, fully, impossibly broken non-solution to what is a painfully basic mathematical problem? As far as Mario Draghi is concerned, that answer appears to be “until today.” Faced with the reality that his endless garbage asset buying spree has done nothing sustainable to spur the economy, he’s abandoning any pretense things are getting better. It is difficult to put into perspective how completely accommodative Draghi has been during his entire tenure as the head of the European Central Bank. He has never raised rates once during his entire eight-year tenure, and today’s capitulation to further ultra-loose monetary policy essentially seals the deal that he ever will. 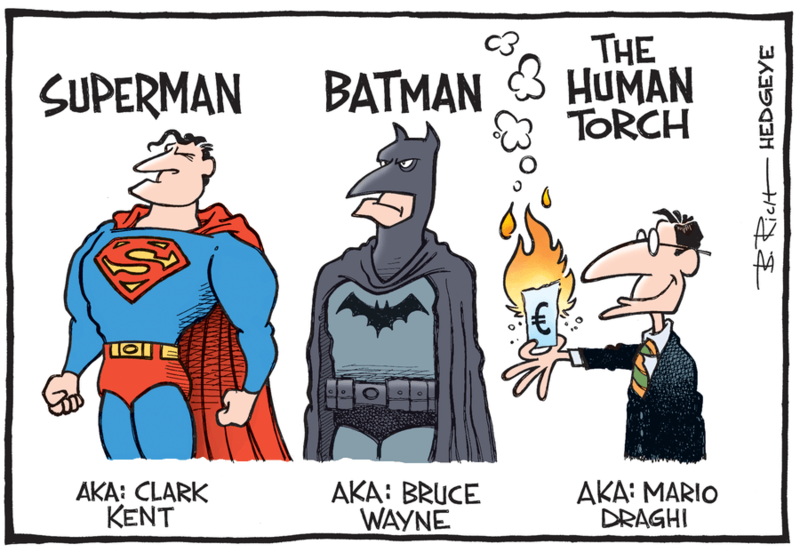 So what to expect from Draghi’s successor? The current frontrunner is Bundesbank President Jens Weidmann. Who, if you can believe it, may prefer an even more dovish strategy than Draghi. So there it is. The ECB is doubling down on kicking the crisis can down the road. Delay, jawbone, and obfuscate because perpetuating past mistakes is so much easier more politically feasible than facing reality. And wait for that very reality to bring it all crashing down in spectacular fashion, once there is well and truly nothing any central bank can do to stop it.